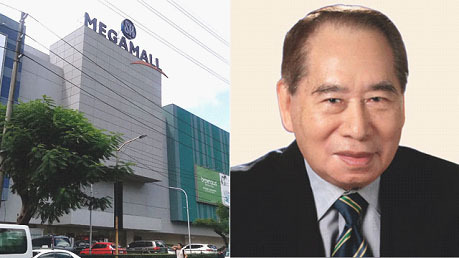 Henry Sy was born in Xiamen, China on October 15, 1924. He was not born with a silver spoon in his mouth. Wanting to escape poverty, Henry followed his father to the Philippines where they set up a shop that sold various household items. At his Father’s store, Sy helped to sell rice, sardines and other merchandise. Instead of playing with other kids, he stayed in their store and work all day and night. Following World War II, the store got obliterated along with the rest of Manila. His family decided to return to China but Sy stayed in the Philippines and he was very determined to become successful and worked hard to provide for his needs. 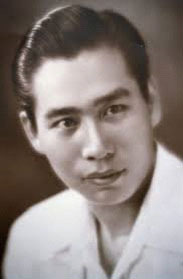 Henry Sy, who did not speak a word of English or Filipino when he first migrated to the Philippines at the age of 12, he asked his father to send him in school so that he can learn English and improve himself. At that age, he started grade one all over again and attended classes with much smaller classmates. It is a big struggle to him and yet he did not see it as a hindrance. He asked his teachers if he could be promoted faster but with a condition of having a score over 90. Encouraged by them, he studied hard and have always tried harder. He finished grade school in five years. 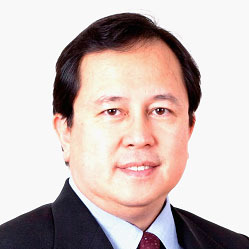 After that, he enrolled for college at the Far Eastern University where he passed the qualifying exam. He took up Commerce but had to leave school after two years because of his growing business. Having no complete educational attainment, Sy still managed to make it through despite all the struggles and hardships he had faced. At a young age, he experienced a bitter-sweet side of life but he kept on pursuing his goals, he persevered and stood back up. Starting from a small store to big companies and even having thousands of college scholars from underprivileged families. Henry Sy is a multi-billionaire and became the richest man in the country. 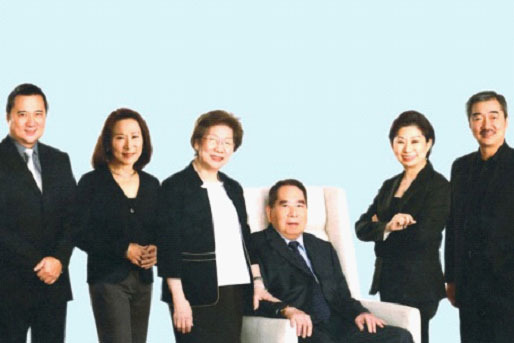 Henry Sy is an epitome of hard work, perseverance, tenacity, frugality, and self-discipline. “There is no such thing as overnight success or easy money.” As a student, there are a lot of opportunities that we can get at this point in our life. We must work on it and dream big, no matter how hard it is, be like Henry Sy and don’t give up, chase your dreams no matter how far-fetched it seems. Great morning to one and all! It is with GREAT PRIDE that I am with you today to celebrate the 73rd Foundation Week of San Carlos College! 73 YEARS! How many institutions can claim that history? Let us all feel proud of our heritage! MABUHAY TAYONG LAHAT! Let us appreciate our history a bit more. The Pensionado Act of 1903 (or Act 854) refers to the law which allowed qualified Filipino students to study in the United States. Passed on 26 August 1903 by Governor General William Howard Taft’s government through the Philippine Commission, this act provided funds for such students, called Pensionados, to acquire their college degrees at American schools. 103 students comprised the first wave of pensionados. These students were called Pensionados since they were scholars studying at the expense of the colonial government. They mainly earned degrees in government and administration since the idea of the program was to educate the students the U.S. Government system, so that upon their return in the Philippines, they would administer the government in the same fashion. Our grandfather, FORTUNATO C. DE VEYRA, whose bust you see outside the Forum Hall, was one of those Pensionados. From Alang-alang in Leyte, he was sent to the US to train as an educator, and upon his return was immediately assigned to various locations as a school administrator. He met our grandmother FILOMENA BOBIS at one such assignment, in Tabaco, Albay. They married, and our mother’s family grew along with his various assignments: Manila, Tacloban, Lucena, and finally, Pangasinan. If you google FORTUNATO DE VEYRA his name is listed on Page 201 of the Official Gazette of February 1943, as Division Superintendent of Schools, Pangasinan. This was during the Second World War. So we stand here before you as a product of a sense of mission – his mission. After the Second World War, in 1946, he established the Pangasinan Institute of Education, Arts, and Sciences, or PIEAS. This building behind the stage is the PIEAS Building. The school’s name was later changed to the present SAN CARLOS COLLEGE, whose 73rd Foundation we celebrate this week. Let us all give each other another warm round of applause. Teacher Education was the primary purpose the school was established. The country’s progress depended critically on educating teachers, who would then teach our growing population the life skills needed. EDUCATION FREES PEOPLE FROM IGNORANCE AND POVERTY. We pledge that Teacher Education will remain at the core of the school’s mission. The Graduate Program in Education and the Laboratory School were established in that line. A more detailed history is contained on our website – sancarloscollege.edu.ph. How many of us have read it? Please do – we will appreciate our heritage even more. Our VISION proudly proclaims that San Carlos College will PRODUCE SELF-RELIANT AND MORALLY UPRIGHT PROFESSIONALS. We then added the Colleges of Liberal Arts, College of Accountancy and Business Administration, and the College of Information and Computer Sciences to complement the product line of very qualified teachers with professionals from other disciplines. We are seriously studying other course offerings in the light of the ever changing workplace you will meet after school. The School’s MISSION promises to PROVIDE STUDENTS WITH LIFE SKILLS AND CHRISTIAN VALUES FORMATION. This is started and strengthened in Basic Education levels. While we are not a Catholic School, Christian values, morals, and etiquette are modeled for you to follow. We have implemented a strict Code of Conduct. The now three-year-old program, Senior High School, exposes you to life skills which you can either keep as a backup of your professional career or adopt as a permanent pursuit. We are ADDING MORE OFFERINGS NEXT SCHOOL YEAR in addition to our present tracks. As we celebrate the School’s tradition of mission this week, WE CELEBRATE ITS ACCOMPLISHMENTS, ITS CHALLENGES, AND SUCCESSES. The tarpaulins proudly adorning the campus and the floats for the grand parade reflect the pride of your school in your success, our students’ success, the school’s success. I challenge all, and you should challenge yourselves, to CONTINUE THAT TRADITION OF SUCCESS. The website talks about our graduates occupying revered positions in the various educational institutions in the province and the region. Others occupy positions in government and private organizations. More are very successful entrepreneurs. Even more have been successful in other countries, – in the US, in Europe, and in Asia. You should come to the Grand Alumni Homecoming every 30th of December and feel the success of the graduates. At every graduation exercise, the School makes it a point to invite one of its own to be the Guest Speaker. I have met very successful doctors, bankers, educators, and public servants, to name a few. Each guest speaker had a WARM FEELING looking over the campus where he or she ONCE WALKED AS ONE OF YOU. Each one has words of wisdom, which are THEIR GIFT TO YOU on your life’s journey. This graduation, please make an effort to listen and absorb their wisdom. Appreciate their wisdom. As I join you in celebrating this Foundation week, I am extremely encouraged by the energy I felt around the campus. In the various activities – the Booths, Sports Clinic, the Automoto Show, Quiz Bee, Talent, and Extemporaneous Speaking Contests – THE ENERGY WAS VERY STRONG, VERY POSITIVE. Keep this energy within you, around you. Keep around energetic friends. Choose your friends well. Your friends – the people you hang around with – determine your success – or lack of it. This positivity I felt strongly, going around the campus – BE POSITIVE, STAY POSITIVE. Stay away from negative people. We hope to harness all that energy to BUILD A STRONGER SCHOOL COMMUNITY. The many booths and activities we see all around show that we can have and should have more student organizations. More organizations, more activities, more learning beyond the classroom. I want you to WANT TO COME TO SCHOOL, for the activities, not just academics. The more organizations or clubs there are more roles to play outside of class. More LEADERSHIP roles. And CHARACTER is built through the practice of leadership. For the activities and organizations, you will form this school year, you will choose the leaders for next school year. Once all these organizations are put up, we will conduct leadership training and teambuilding in the summer break. So you hit the ground running for next year. As we move to strengthen the community WITHIN THE SCHOOL, we also wish to enlarge this community BEYOND THE SCHOOL. For this year’s Foundation Week, we wanted you to share the blessings you enjoy with students from other Schools. I am sure they felt your love as you shared your pride with them. THANK YOU for being such gracious hosts. More character building. As part of COMMUNITY BUILDING, we also plan to offer short courses, workshops to participants INSIDE OR OUTSIDE the school proper. One such activity is that we are hosting Dr. JAIME DY-LIACCO, a Naturapath and Doctor of Metabolic Medicine / on Feb 28th -March 1st, here in the Gym. You can look him up on Google and You-Tube. He cured himself of Pancreatic and Prostate Cancer and will teach – ANYONE WHO WILL LISTEN – natural cures. A critical part of the school community is its ALUMNI. I mentioned the alumni a while ago. The School was established in 1946. Our first batch then graduated in 1950 or so. So the school has had 70 BATCHES OF GRADUATES! I am sure some, if not many of you, have parents, or even grandparents who are alumni of this school. If so, you are related beyond blood. YOU ARE BOTH PRODUCTS OF SAN CARLOS COLLEGE! As parents are defined by their children, the School is DEFINED BY ITS ALUMNI. So we will make that when you leave this campus you are not only accomplished academically. We will ensure your CHARACTER is well developed by then. We want to take care of you beyond school – once you leave this campus. We will strengthen the Alumni Affairs Office who will keep you – and those we can contact from the 70 earlier batches – at least informed, if not active in the larger school community. You will be updated on current school events, to make sure you are in touch with your batchmates and with your Alma Mater. The Clarion will be sent to you, as alumni, via social media. And as you grow and make your name outside the campus, I want you to remain PRESENT AND STRONG in the school community by PROUDLY BEING INSPIRATIONS to your sons and daughters who follow in your footsteps. As I end this message I send you off to march WITH PRIDE on our parade. Last December 18 – 19, 2018, a team of accreditors from the Philippine Association of Colleges and Universities Commission on Accreditation Inc. (PACUCOA) an organization that is governed by a high standard of excellence, headed by Dr. Loida Sta. Maria with Ms. Cristina Price, Ms. Corazon Nera, Ms. Melanie Florentino, and Engr. 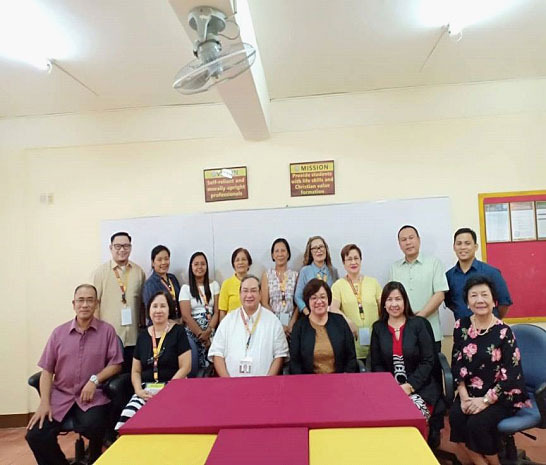 Ferdinand Gabriel visited San Carlos College for the Level II- 2nd Re-Accreditation for the programs: Bachelor of Elementary Education, and Bachelor of Secondary Education under the supervision of Dr. Dominador C. Fermin, III, to evaluate different identified areas. Behind the success of the re-accreditation last December were the people who made a commendable efforts. They are as follows: I- Philosophy and Objectives, area chairman/co-chairman Mr. Edward Vincent D. Unson and Ms. Veronica M. Buna Cruz; II- Faculty and III- Instruction, chaired by Dr. Dominador C. Fermin, III; IV- Laboratories, Dr. Romulo L. Olalia, Jr.; V- Research, Dr. Alicia A. Peralta; VI- Library, Ms. Estrellita G. dela Cruz and Ms. Belen Marietta M. Peralta; VII- Student Services, Ms. Regine B. Tabigne and Dr. Emiliana M. Valdez; VIII- Social Orientation and Community Involvement, Mr. Michael F. Centino and Ms. Regine B. Tabigne; IX- Physical Plant and Facilities, Ms. Alma R. Ducusin; X- Organization and Administration, area Ms. Alma M. Ducusin and Ms. Veronica M. Buna Cruz, with Dr. Alicia A. Peralta as the overall chairman. Being accredited brings not just achievement but honor to the institution undergoing the said process, for it means that the school is performing well, based on its mission and vision, philosophy and general objectives and accepted standards, wherein it encompasses the school’s growth as well as the productivity enhanced through proper development. Being accredited from Level I to Level II means a lot for San Carlos College, mainly the College of Teacher Education, for it parleys about the opportunities and potential being mustered in the said institution, thus opening a gateway for more improvements such as the accommodation of its future learners, the adaptation to higher institutions and self-development. In line with this, it makes the institution more competitive since the passing rate in terms of board examination in San Carlos College is relatively high. It likewise brings a lot to the table itself on how it will take the challenge of improving gradually for better service to its students and forming them into not just responsible instructors and teachers in the future, but making them as a disciplined citizens, with the mindset of giving everything to the battle ahead.